Home Builders on Longboat Key, FL. 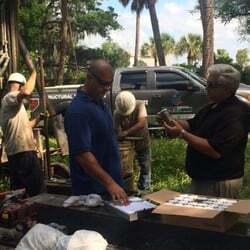 Home Builders in Longboat Key, FL. Custom Home Builders in Longboat Key, FL. Foundation Masters, LLC want to provide our home town community with the safest living environments possible for your family and your neighbors. Foundation Masters, LLC will provide for FREE GPR scanning all new construction sites for sinkhole, soil subsidence and poor soils that will cause settlement cracks in your home. This scanning is called ground penetrating radar, underground scanning surveys are conducted with a low frequency GPR antenna, such as a 200-MHz antenna that can reach depths of up to 35 feet in sandy soils. Applications for deep ground penetrating radar include landfill and burial trench delineation, geology, organtic layers, bedrock/lime stone depth studies, karst, soil raveling and sinkhole location.